ITC Systems, an international transaction control and software technology corporation, announces the successful launch of its latest software suite for commerce based closed environments called netZcore. This product is the most advanced transaction engine on the market today for commerce based deployments within a higher education or similar environment. 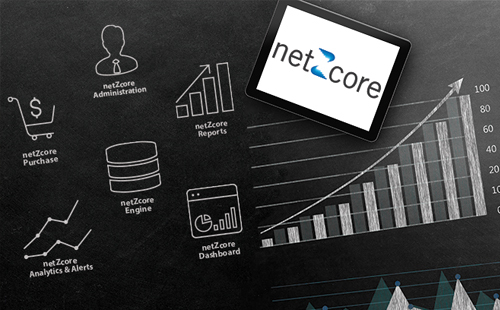 netZcore is an intuitive Web-based application that will enhance the customer experience and consolidate an institution’s on site POS and UPOS applications into a truly cashless environment. ITC Systems unveiled its highly-anticipated software, netZcore at the NACCU 2017 Annual Conference in Orlando last month. Attendees were stunned at all the features that are built into this software, some said ‘best commerce platform we have ever seen.’ ITC Systems canvassed our current Higher Ed customers, schools using competitive products and received details on what they really liked, what was missing that is critical and what was not needed in a cashless commerce solution. With that information and our current Multiplan features we designed netZcore from the ground up. ITC Systems offers the complete total solution by designing, developing and manufacturing the software and hardware. From mobile apps to unlimited accounts and plans through to back-end transaction processing and settlement we supply the total solution. ITC Systems was founded in 1989 and serves colleges, universities and a host of other market segments by providing products and services focused on campus ID credentials, privilege control, access control and copy and print control. Credentials allow for a cashless environment throughout a campus, some sectors include; food service, library, residence, parking, laundry, computer services, print control and other institution-wide applications. To learn more about ITC Systems, please visit www.itcsystems.com. Copyright ITC Systems | Website by: Digital Chaos Inc.